Bathroom remodels may be one of the hardest things to come by especially when you have a fully functioning one. But nonetheless, if you want to have a pleasant experience when doing your nitty-gritty, or if you are having problems with your bathroom it can be the smartest thing to do. Having your bathroom remodeled not only increases the value of your home, but it can also correct certain features or even add more space. 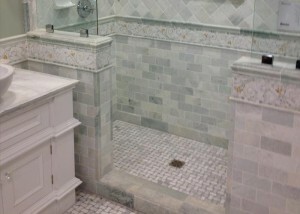 Probably one of the best things to start with when having a bathroom remodel Rowlett is with your budget allocation. Knowing how much you will be spending will let you understand the limits of the design and help you know the types of materials that will fit to stay within the budget. It will also help you with the decision on which items to keep or which ones to replace. If you are within a limited budget, it can be better not to move the plumbing system as moving them involves a lot of work and will cost you more than you think. It may sound simple to have a sink or toilet switched from one location to another, but the complication lies underneath. Instead, when having a bathroom remodel Rowlett, spending on the fixtures you’ve been considering can give you much satisfaction than concentrating on moving the plumbing system. Also, when doing a bathroom remodel Rowlett, do not doubt what good lighting can do. Lightings in the bathroom can have various effects that would add to its aesthetics and functionality. Ample amounts of lighting can be good for shaving or applying makeup, while dim lights can be good for a relaxing bath, and sconce lighting can be ideal to give you a dramatic effect or to get an even lighting on your face. As with every remodeling, it can be better if you have everything on hand first. This would allow you to fit which one would work perfectly. It is never advisable to just go with one item after another as you would not want to have a psychedelic-looking bathroom (unless you have that in mind!). When you are in doubt about having your bathroom remodeled, it can be better to consult the professionals. They can give you the best advice that would fit with the existing concept of your entire house. Lee Tiles has been in the business for quite a long time and can give you a bathroom a transformation you have always dreamed of. We have 67 years of experience in the tile industry, making us superior to other bathroom remodeling companies. For more information call us at (972) 423-3266.